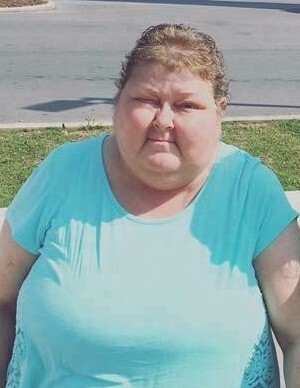 Robin M. Gable Cryer, 53, of Holly Pond, passed away on Sunday, January 13, 2019. She was born October 29, 1965, to Travis and Nellie Pearl Allen McCormick. Robin is remembered by her family as a special lady. She will be greatly missed. Ms. Cryer is preceded in death by her parents. She is survived by her companion, Larry Cryer; daughter, Wendi Hendrix (Blake Gregory); sons, Justin (Mercedes) Cryer, Cody (Kristen) Cryer; brothers, Randy (Sandra) McCormick, Ricki (Donna) McCormick; sister, Rhonda (Walter) Colbert; grandchildren, Tucker Cryer, Kinlee Cryer, Tori Cryer, and Skipper Cryer. Funeral services for Ms. Cryer will be 11 a.m., Tuesday, January 15, 2019, in the Holly Pond Funeral Home Chapel. Burial will follow in Walls Chapel Cemetery. Friends may visit with the family one hour prior to services, from 10 a.m., until services begin. The Cryer family would like to extend a special thank you to the staff of Alacare Hospice. Your care and compassion is greatly appreciated. Holly Pond Funeral Home is honored to serve the Cryer family.